So my name is Cankles. I am redoing this blog thing and actually plan to use it a bit more. Its a place to catch up on news events and the such with me, I guess. Ok i guess i should tell you all more about me, just incase you stumbled across this blog by accident. My Real name is Ryan. I was born in tacoma washington to my mom and dad. I have 3 little sisters. Most of my life was spent moving from state to state. I have lived (in order) in; Washington, Missouri, Iowa, Nebraska, Texas, Louisiana, Missouri, Nebraska, California, and finally back to Missouri. The picture actually is of me and my wife, Jillian, or Mrs. Cankles. 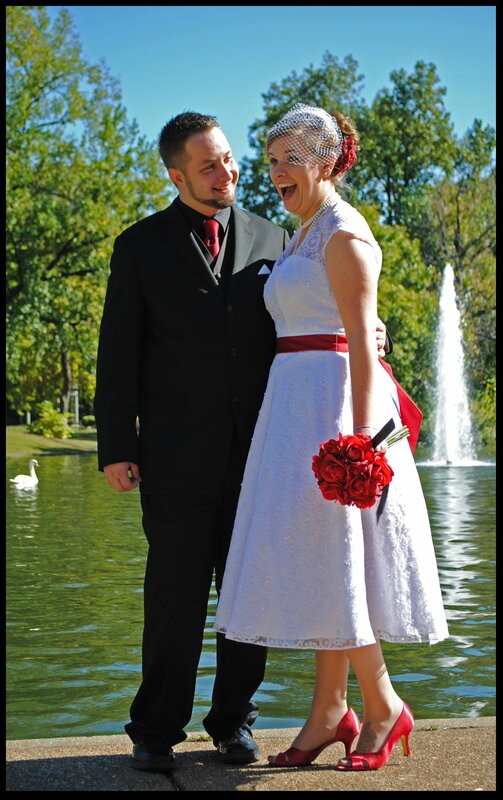 We got married on October 1st 2010. She is the love of my life and my best friend. We both currently live in St. Louis Missouri, as do our families. So thats a little about me. ill be posting more in the upcoming days about the wedding, life, and other randomness.